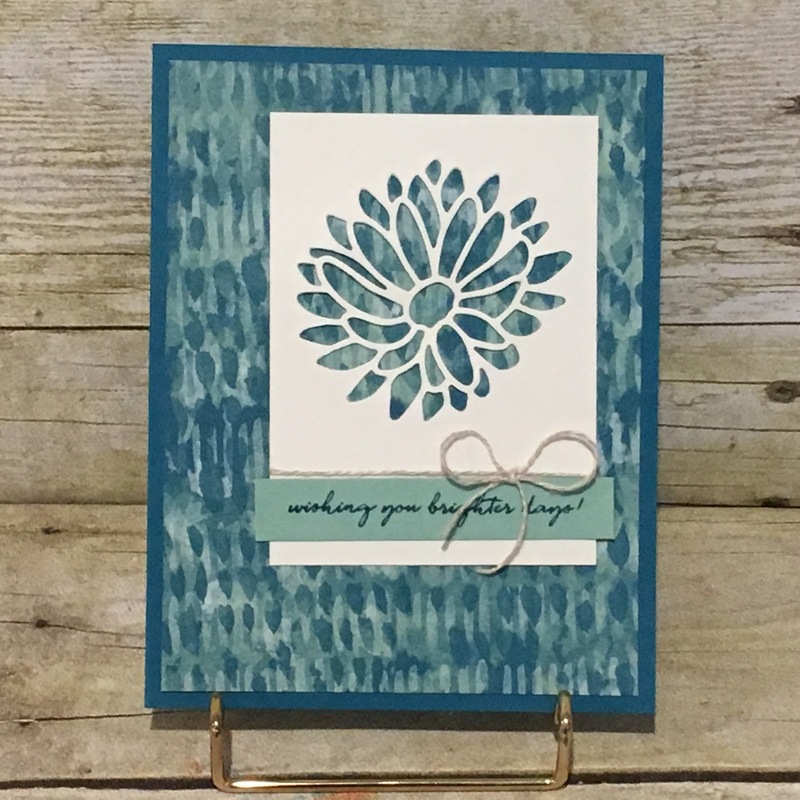 Today is my weekly Come Stamp With Me Class. I open my craft room from 10am to 5pm and the ladies can come and stamp as many or as few as they want or need. Last week all cards were sold out by 1:45 and I pulled out a reserved card just in case. 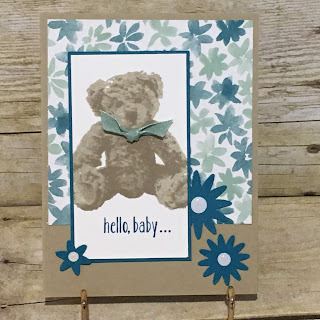 This cute Baby card was inspired by one I saw on Pinterest, but I failed to PIN it so lost my link. So sorry, but if the original creator sees this please let me know so I can give you the credit. The ladies will be able to make this either in the blue shades that you see here or in the pink shades for a girl. 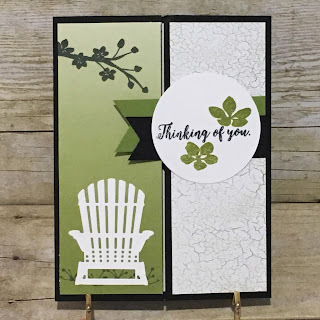 This card, too, was inspired by one I saw on Pinterest, but I failed to PIN it so lost my link. So sorry, but if the original creator sees this please let me know so I can give you the credit. Our token Christmas card for today (inspired by Donna Ross) was chosen by one of the gals who gets to come in the summer months but once school starts up she needs to get back to her classroom schedule at the nearby college. 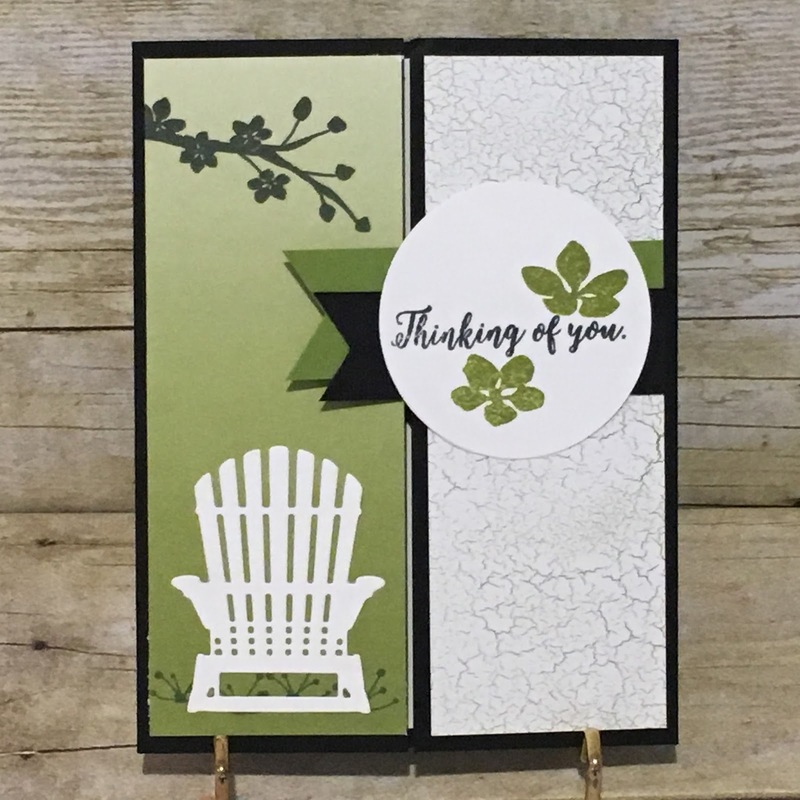 Since today will be her last day to come (and there was only 1 Christmas card left when she got here last week - she likes to make 4 to start in on her Christmas cards for this year) I let her choose which Christmas card she would like for me to put out. I had several on hand that I had prepared before my surgery in January and I am so thankful that I did. It has been a lifesaver! So if you live in my area, I would love to have you stop on by and make some cards.